BEREA, Ohio (AP) — Just as the Browns began preparing for their season opener, offensive line coach Andy Moeller was suspended indefinitely by the team. According to ESPN, Moeller allegedly assaulted a woman who was a guest in his home over the weekend. Berea police filed an assault report after responding to a call. Moeller wasn’t arrested, but is under investigation. Moeller, who is in his second season with Cleveland following six in Baltimore, has a history of alcohol-related cases. He was suspended two games by the NFL and fined $47,000 in 2011 following a drunken driving conviction. “Over the weekend, Andy was involved in an incident, involving allegations that we take very seriously. We have followed our internal protocol, determining that right now it is best for the team and for Andy to take time away from the organization to focus on his personal matters. The team did not provide any other details. A phone message was left with Berea police. Coach Mike Pettine said assistant coach George DeLeone will take over the offensive line in Moeller’s absence. It’s not an ideal start to the season for the Browns, who will open at the New York Jets on Sunday. General manager Ray Farmer on Monday began serving his four-game suspension for sending text messages to the sideline, and star wide receiver Josh Gordon has been banned for a year following multiple violations of the league’s substance abuse policy. Pettine refused to discuss the larger implications to a rough start to the season. Browns Pro Bowl tackle Joe Thomas said Moeller addressed his linemen and told them a little about his situation. Thomas is confident his group won’t be adversely affected by the suspension. Right guard John Greco said the line’s cohesion should help it overcome the loss of a position coach. “We have been in this system two years together now so we have all the groundwork in place,” he said. “We have a full season under our belt from last year. Everything we have done this camp and the preseason is just going to carry over into the season. 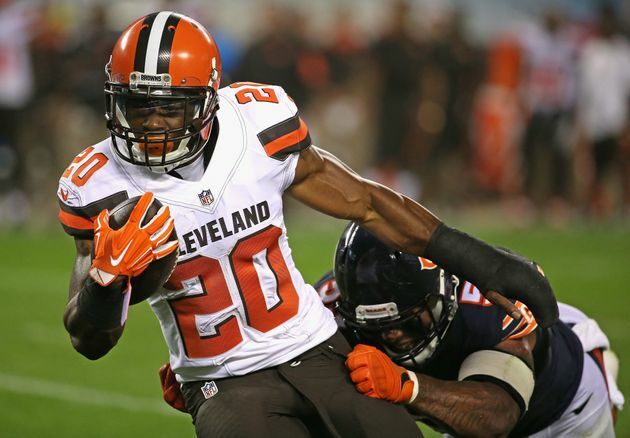 With Moeller coaching the line, the Browns finished fourth in the league with 17 rushing TDs last season after getting just four the previous year. Also, Thomas was selected to his eighth Pro Bowl and the unit had to adjust after Pro Bowl center Alex Mack sustained a broken right leg in Week 6. Moeller played and coached at Michigan.